Setsmol is an accredited South African based Housing Education Company. It was conceived out of the observation that most people in South Africa are still in the dark with matters relating to housing, due to lack of property ownership knowledge. Setsmol’s research findings are that rights, contractual obligations, accountability and responsibilities of prospective and current property owners are not adequately explained in a way that demystifies the intricacies of property ownership. This results in flagrant defaults. Furthermore, home loan approvals have fallen by 80% due to economic factors. Many are over-indebted and have impaired credit bureau profiles. Setsmol have created a solution to this problem through their Credit Literacy Initiative which involves Financial Management Wellness and Rehabilitation. It is a unique way of practically educating, mentoring and coaching individuals and communities about the impact of negative credit profiles and a lack of affordability for one’s life. Participants learn from experts how credit scores are derived, and are taught specific strategies to eliminate over indebtedness and improve credit profiles through the addition of positive credit (referred to as credit building), and removal of negative entries on their credit reports (commonly referred to as credit repair). Setsmol currently has offices in Gauging and Limpopo, but has plans to expand into all nine provinces. Solly’s vision is to see Setsmol programmes incorporated into school curriculums to prevent or reduce the reoccurrence of over-indebtedness and impaired credit records, thereby educating the next generation of South Africans in this critical area. 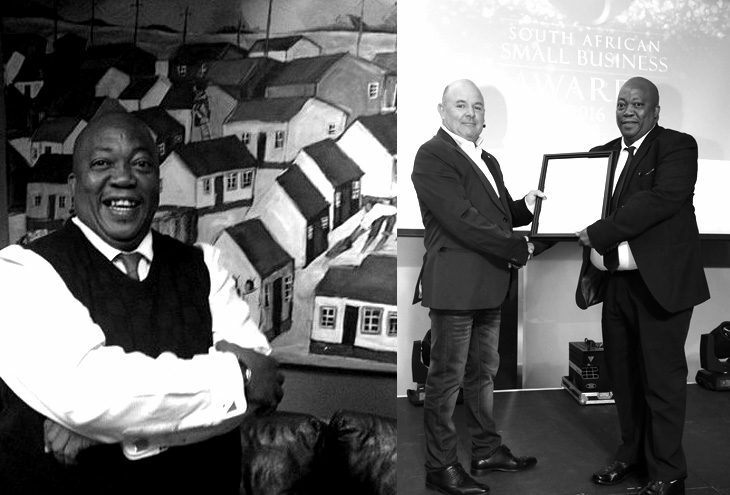 Setsmol was awarded as Top 20 Small Businesses at the 2016 South African Small Business Awards. The Shop Small Movement and Small Business Friday are brought to you by the NSBC and encourages all South Africans to interact and support small business every day; especially every Friday and even more so on Small Business Friday, the first Friday of Spring every year. This grows local communities, drives job creation and ultimately builds the nation. With your support small business will be able to employ more, therefore reducing rates of unemployment and harvesting the entrepreneurial spirit.